Tonight in my seminar on the Prophets we covered Ezekiel chapter 4. There there were many things I found of interest in this passage, I want to hone in on verses 12-13. Before we get there, let me give you a bit of context as to where we are at in the book of Ezekiel. Ezekiel has seen a vision of the glory of God atop a chariot which moves about by four living creatures with four wings and four faces, as well as four wheels which have wheels within them. After seeing this vision, Ezekiel is commanded to prophesy against the house of Israel. Ezekiel’s prophesy takes a number of forms. One form of Ezekiel’s prophecy manifests itself in physical signs wherein he acts out the calamity Israel will experience at the hand of her God. Chapter four contains two different signs. In the first sign, Ezekiel inscribes the city of Israel on a brick. On that same brick he depicts seize engines that are erected against the city. He is commanded to lay bound on his left side on the brick? for 390 days for the iniquity of Israel and 40 days on his right side for the iniquity of Judah. The second sign is a bit more bizarre and colorful. Ezekiel is commanded to throw a bunch of ingredients together and make barley cakes. These cakes are to be baked over human dung. For those unfamiliar with the Levitical purity laws, or with any sense of human decency and or hygiene, you will know that doing this would make ritually unclean (unpresentable to God). With this background in mind, let’s take a look at Ezekiel 4:12-13. The dung is not actually eaten; it is the fuel for the baking. Despite the fact that he is not commanded to eat the dung, the food becomes unclean. Though the bread itself becomes unclean through the process of baking, the emphasis seems to be on the means by which it becomes unclean. There is a repetition of the phrase לַחְמָם “their bread” in 4:12 and 4:13, which is also present in 4:9 (the beginning of this sign unit). These factors all contribute to a tightly woven symbol: Ezekiel’s act of eating tainted/unclean bread is analogous to the fact that the “sons of Israel” will eat unclean bread among the nations (in exile). 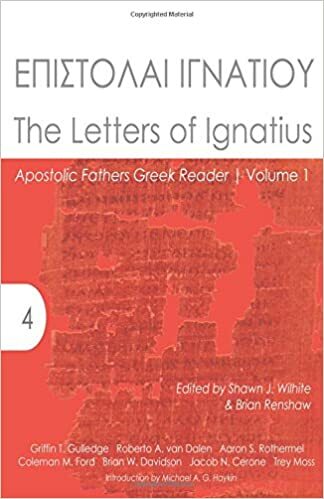 Now, let us turn to the text of the Septuagint. καὶ ἐρεῖς Τάδε λέγει κύριος ὁ θεὸς τοῦ Ισραηλ Οὕτως φάγονται οἱ υἱοὶ Ισραηλ ἀκάθαρτα ἐν τοῖς ἔθνεσιν. Notice anything different? Yes, the translator expands the beginning of verse three (he adds καὶ ἐρεῖς Τάδε . . . ὁ θεὸς “And you will say, thus . . . God). He also truncates the end of the same verse (אֲשֶר אַדִּיחֵם שָם “where I will drive them there”). While these are significant features, something more significant is at work here. ἐγκρύψεις “you will cover” translates תְּעֻגֶנָה “you will bake.” The dung has been transformed from the fuel for baking into a constituent of the barley cake itself. The phrase לַחְמָם “their bread” in v. 13 has been omitted. Instead of reading “their unclean bread” the Septuagint reads ἀκάθαρτα “unclean things” Though the conceptual link with vv. 9 and 12 remain, the lexical link is broken. This allows ἀκάθαρτα “unclean things” to serve as a general reference to any unclean food categorized as such by Torah. What all does this mean? In terms of deep structure, very little. That is to say, both the Hebrew and Greek texts communicate basically the same idea. Ezekiel is to serve as a symbol to the people of Israel. Just as he eats unclean bread, so also will Israel. Yet, the surface structure of the Septuagint adds a different flavor to the overall discourse. Where the Hebrew text retains a tightly formed symbol between Ezekiel and “the sons of Israel” through the repetition of לַחְמָם “their bread” (vv. 9, 12, 13), the Septuagint translator puts the barley cakes on a lower shelf. He decides that it is better to forgo the tightly woven symbolism in order to spell out the implications it has for Israel. It is not simply bread cooked in/with/on human dung that Israel will eat. The nation will eat all manner of foods that are deemed unclean by God. I am always fascinated by the choices the Septuagint translator makes. We always finds it easy to criticize our translators of our English Bibles. And we should. We should always keep them honest. But at the same time, we must not be naïve. Translation must be sensitive to the complexities of nuance present in the source language. Something will also be lost in translation, but we must be ever cognizant of the choices we make. 1 I admit that the manner in which the bread is prepared may be a factor here. The translators of the NETS translate this as “ash-baked” barley cakes. If this is true, it is not so much that the human excrement is a garnish on top of the bread as it is still the way in which it is made. This entry was posted in LXX, Old Testament Studies and tagged Ezekiel, Ezekiel 4. Bookmark the permalink. Thanks Jacob! Your posts always make me think! From my perspective of enjoying campfire cooking, I think the ash covered refers to the barley cakes being cooked directly on the hot coals. Because they sit directly on the coals they will be covered in some ash…animal dung is often used for cookinb fires in some cultures, but unlike ezekiel..a cooking utensile of some description is used.